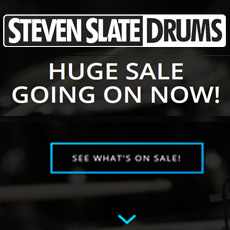 Slate Digital introduces SSD5 Platinum, the long-awaited successor to the popular Steven Slate Drum Version 4. SSD5 offers a clear user interface with all important control elements at a glance, best sound quality thanks to the physically modeled playback algorithm and easy processing due to the sophisticated routing / mapping system. The latest SSD Player is included in the library - no further Sample Player required!